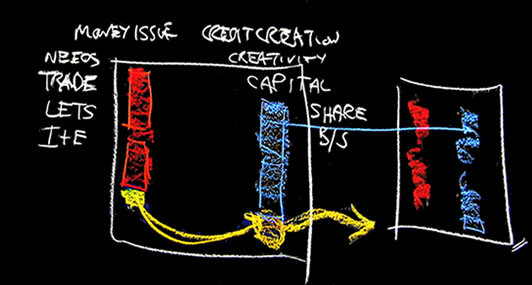 Associative Economics: Beyond the market. Beyond banking. Welcome to the associative economics website! The world's economic and financial conditions seem to be perilously unstable. As our strap line alludes, rather than clinging to the banking system and to belief in mere markets, associative economics is about trusting to people directly as the springs of responsible economic behaviour. With its many and wide-ranging implications for modern economic life, associative economics places human beings at the centre of all economic processes. Our capacity to be both free and responsible means we can make conscious what is otherwise left to the unseen working of market forces. Likewise, we can regulate our own behaviour without recourse to the state.